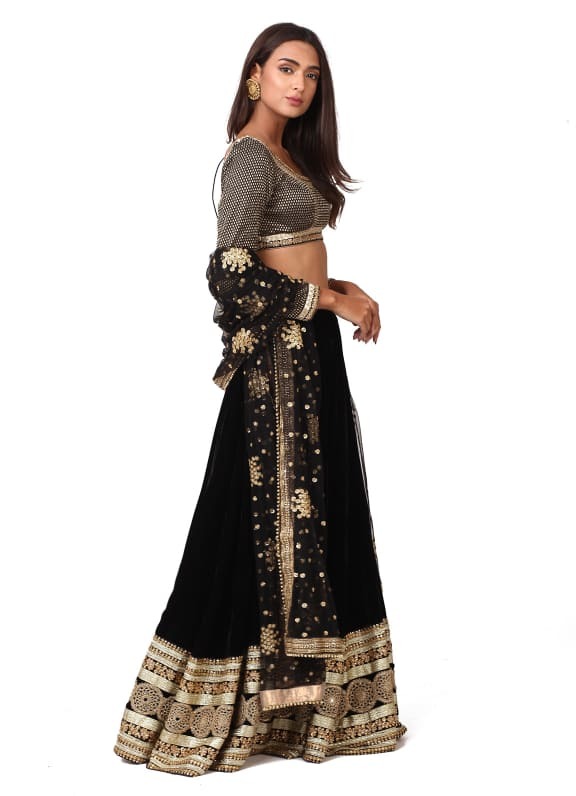 This lehenga set features a gold brocade blouse and a velvet skirt. The skirt comes with mirror, zari and sequins work with a gota border. It is paired with a net dupatta with sequins flowers and gota border. 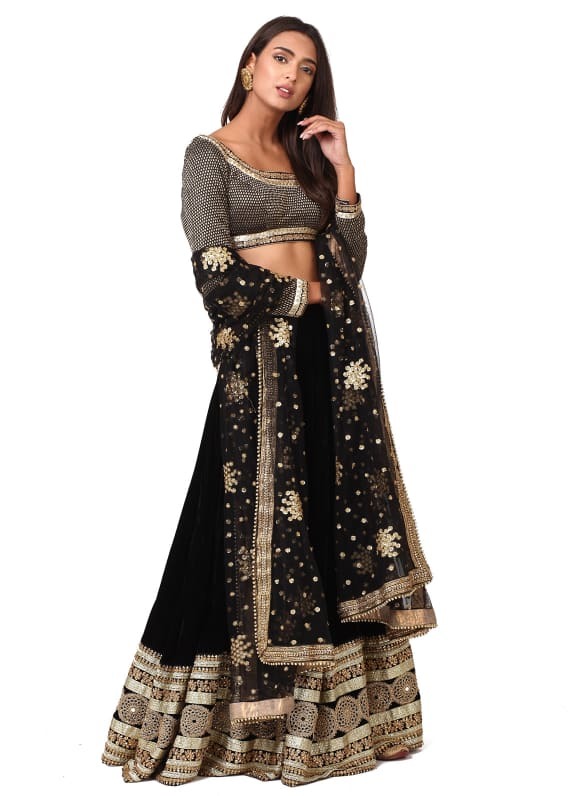 You may have just found the outfit for a glamorous sangeet night. Style this chic velvet and brocade ensemble with chunky earrings by Outhouse.